Sometimes, we forget about materials of the past that were beautiful and different, those that belonged to a particular historical period. 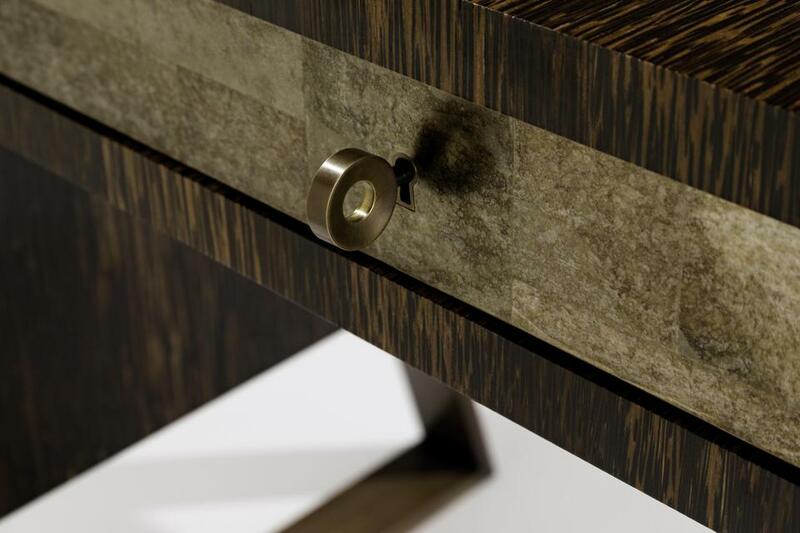 In an endeavor to explore the most unusual and unique of these, we teamed up with Jean-Paul Viollet of Atelier Viollet to assist in illuminating these different surfaces and their current usage in the 21st Century. Below is a list of the six dynamic but underused materials that are now making a comeback. Gypsum/Selenite crystal, chemically known as "calcium sulfate hydrate," contains calcium, sulfur bound to oxygen, and water. According to Wikipedia, "Gypsum is an abundant mineral and takes various forms including alabaster, a material used in decoration and construction as far back as ancient Egypt." Adam Nalewajko of Atelier Viollet, notes that "this unusual surface is a translucent material that is used to clad furniture as well as decorative wall panels. When applied to a substrate, the background color can be changed to create several different looks. 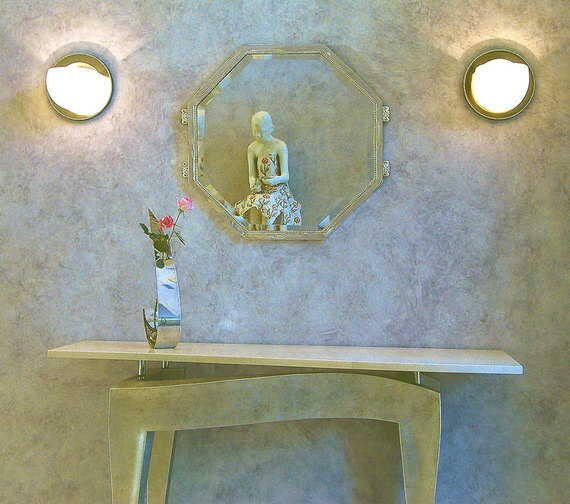 Generally speaking, Gypsum is quite varied and active in its appearance." I think there could be a bit more information here about what it actually looks like. I can do some research. Straw marquetry is closely allied in technique and look to wood marquetry. Its practice dates back centuries from the East, with examples first being brought back to England in the 17th century. Mimicking the varying shades of wood veneer, wheat or oat straw is split, then soaked in cold, warm or hot water. 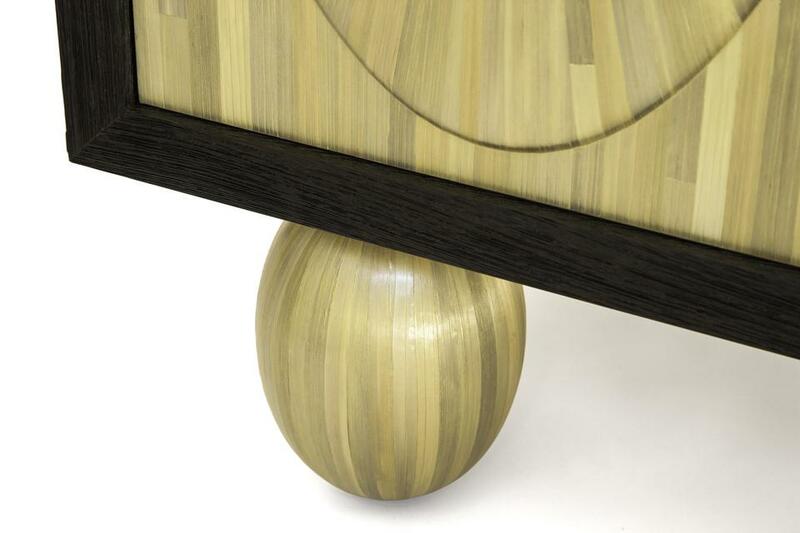 This is a specialty performed by Atelier Viollet's Sandrine Viollet, a master craftsman of this specialty. "The first step of every project is to dye the straw, it takes color very well," she says. Sandrine meticulously opens, flattens and applies each piece of straw to create a beautiful finish on furniture and decorative wall panels alike. Straw can be applied in various patterns from linear to the more complex sunburst and many others in-between. In addition to the exquisite patterns created by her hand, she can also color the straw, achieving a vibrant array of colors. Today the term "parchment" is often used in non-technical contexts to refer to any animal skin, particularly goat, sheep or cow, that has been scraped or dried under tension. It originally referred only to the skin of sheep and, occasionally, goats. 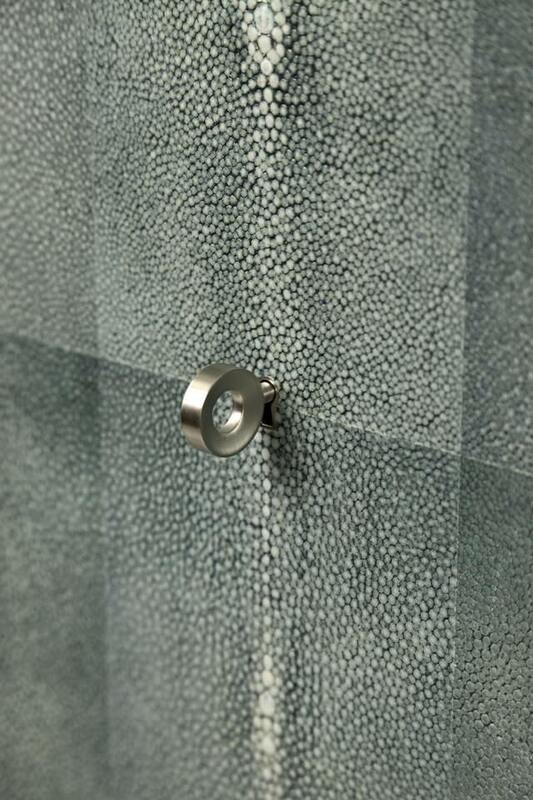 As a surface material, parchment conveys subtleness and solidity. As an applied panel material, parchment is used in furnishings of almost any kind as well as cabinet doors and wall panels. Adam notes that, "its sometimes translucency makes it a class material for lampshades, light sconces, and room screens." 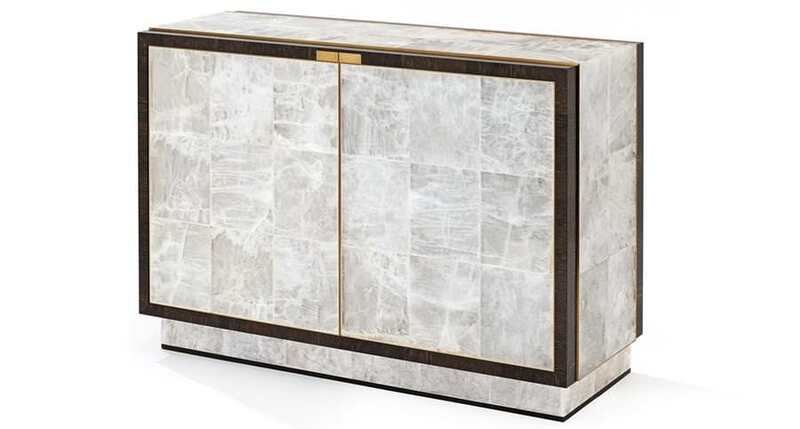 "Between World War I and World War II, the masters of the Art Deco movement--guys like Jean-Michel Frank and Jacques Emile Ruhlmann--gave the material another boost, dazzling connoisseurs worldwide with their shagreen-covered chairs, cabinets, and tabletops." 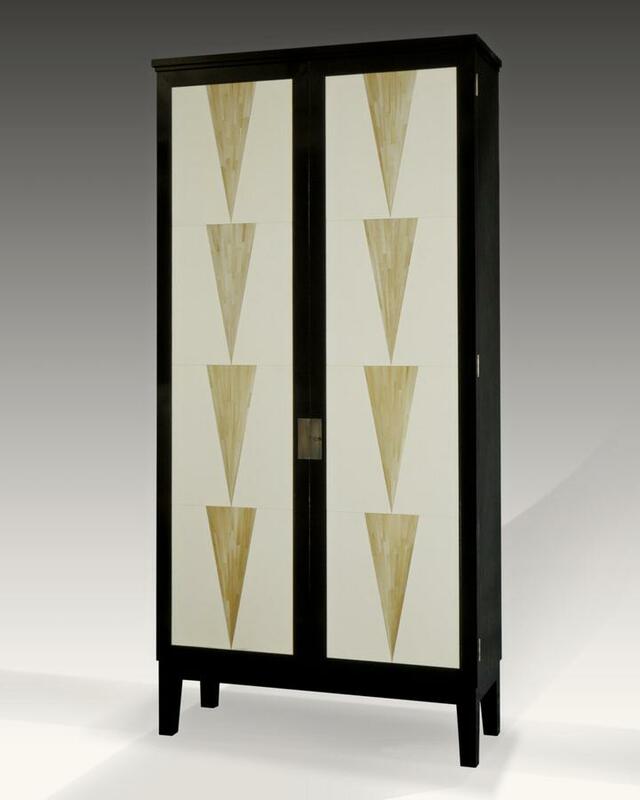 Inspired by those luminous works, Jean-Paul Viollet decided to learn how to incorporate Shagreen into his own designs. "After final sanding and polishing this enigmatic skin reveals its true identity made of hundreds of pearls, a unique natural effect. Simply the most beautiful skin," he notes. 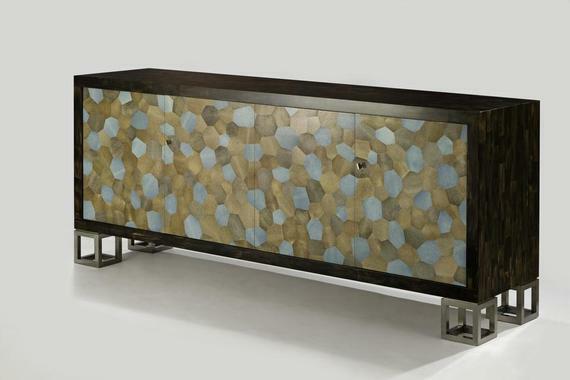 Mica is, by definition, part of a group of sheet silicate minerals. According to Wikipedia, "Human use of mica dates back to prehistoric times and was known to ancient Indian, Egyptian, Greek and Roman and Chinese civilizations, as well as the Aztec civilization of the New World. Its earliest use has been found in cave paintings created during the Upper Paleolithic period (40,000 BC to 10,000 BC). The first hues were red (iron oxide, hematite, or red and black." The word mica comes from the Latin mica, meaning a crumb, and is probably influenced by the word micare, to glitter. Jean-Paul notes that it is yet "another mineral that we use on our furniture and decorative wall panels. It comes in two forms, natural mica and bonded mica. Natural mica is sliced into thin layers and cut into small pieces. It is best utilized on wall panels or other vertical surfaces. Bonded mica is composed of natural mica that is bonded together with shellac." 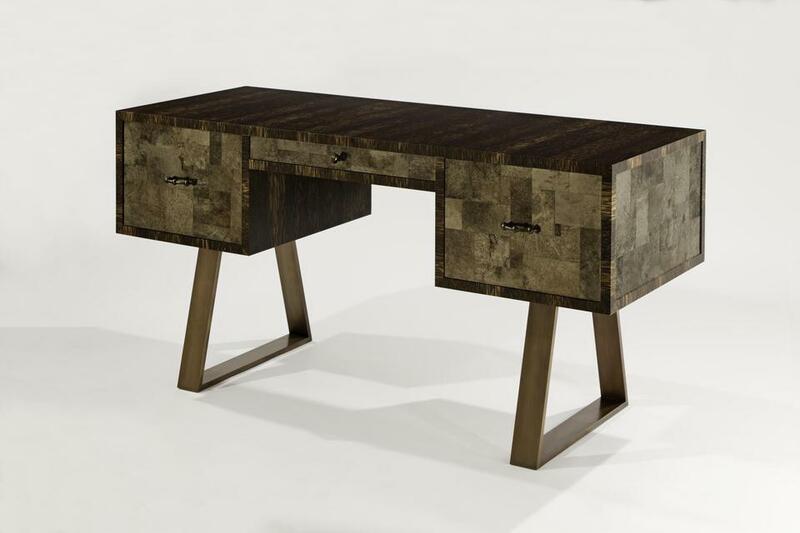 This process allows for the creation of much larger pieces subsequently opening the door to a greater number of design possibilities, he believes, which is better for desk tops. Horn is a hard, keratinous substance emerging from the forehead of cattle, sheep, goats, antelopes, and similar mammals. 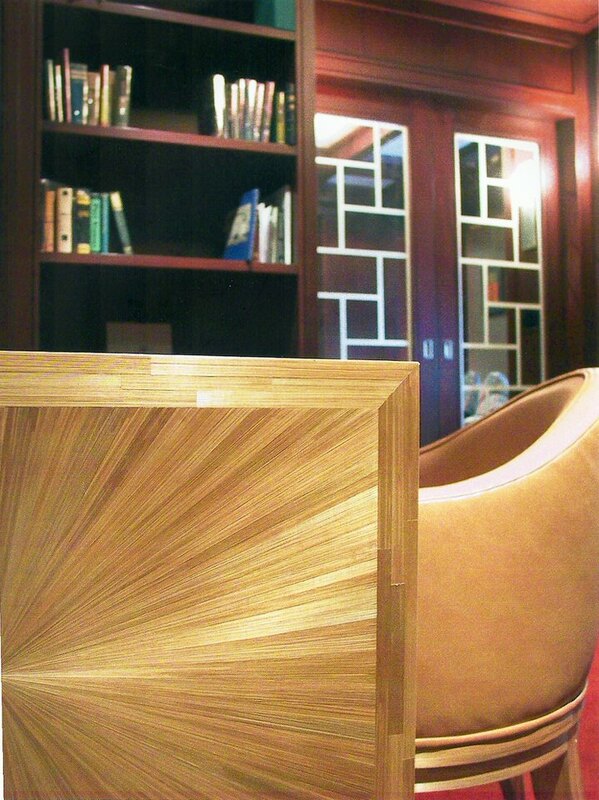 Adam notes that in addition to furniture, horn can also be used in wall paneling, coming in tones from light to dark. "We do not perform any finishing process on horn; it is simply buffed and waxed. Horn is also very resilient to liquid. It does not absorb spills and provides plenty of time to clean up before any sort of real damage can take affect," he explains. 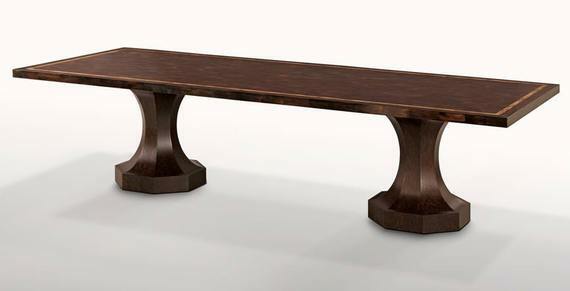 The highly individualized nature of these materials has brought new and exciting finishes to the furniture marketplace. Their unique qualities add to our homes a special and beautiful look.